$1,000.00 Grand Prize and more smaller prizes will be awarded! Welcome to Balloons and Tunes first Balloons and Tunes scavenger hunt played by using your smart phone! This exciting new part of our event is hosted by Kane County Events and Volunteer Center. You have a chance to win $1,000 and lots of other prizes! Only $5.00 to sign up now to be a participant. After Febuary 10th download the Scavify app on your phone, make an account and search for Kanab Balloons and Tunes 2019 (Once you sign up, you will receive the password to enter the hunt. If you have any problems with this step, please call Amanda at Kane County Events and Volunteer Center 435-644-3696 and she will walk you through it. The hunt will begin at 5am on February 15th and cannot be accessed until then, it will run until February 17th at 12pm. The person with the highest score is the winner. 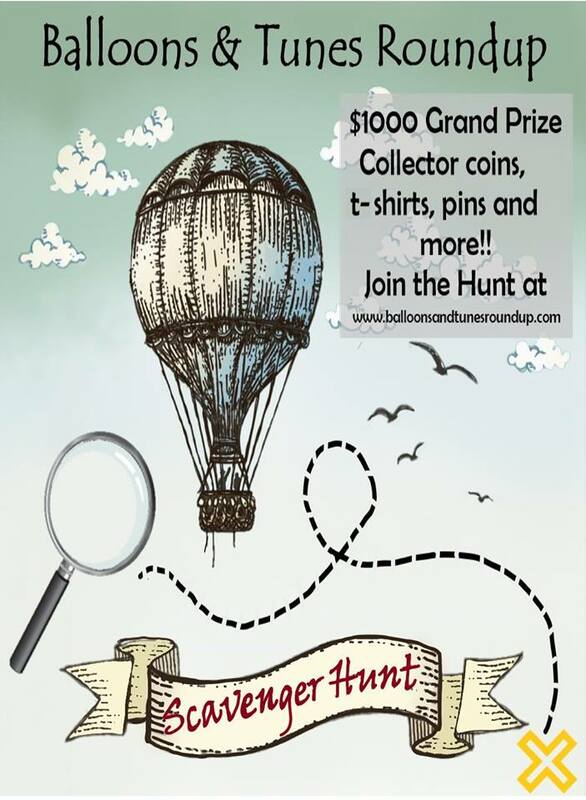 There will be several different point levels and prizes given away during the hunt as well, which will be listed on our Facebook page, Balloons and Tunes Roundup. This scavenger hunt will consist of taking video and pictures, answering some trivia questions about the Balloonists and scanning QR codes. There will be biographies about each Balloonist and each band posted to the Facebook page for you to read and be able to answer the questions. There are items to be found during every activity so plan on checking everything out and spending some time enjoying this fun filled event. • Don’t cheat!! It’s a game, so play fair and have fun. • If you find the QR codes, do not remove them. Scan it and move on. • Don’t disrupt any activities while playing this game. Be respectful to Balloonists, crews, bands, crowds, vendors, all equipment, everyone and everything else. • If you cannot follow the rules, you will be disqualified. Please contact our Facebook page with any problems and have a great time! !